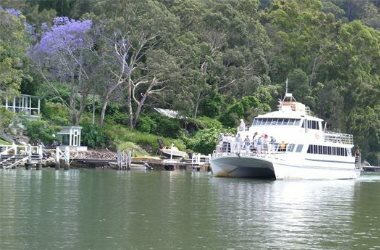 While Greenmans on the Hawkesbury, formerly Greenmans Valley Caravan & Recreation Park, has been operating on the spectacular Hawkesbury since the 1970’s. 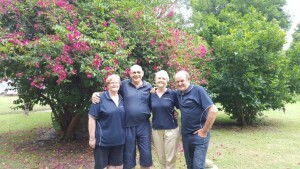 It has been in the hands of Larry and Louise Smith with partners for 14 years up until July 2015 when Larry and Louise took over sole ownership of this unique holiday destination. Greenmans on the Hawkesbury is a small family run business which has every intention of staying that way. While Larry and Louise are investing on improving the Greenmans experience for their customers through improved facilities and continually upgrading accommodation they are committed to keeping their boutique nature that sets them apart from other large operations. Greenmans on the Hawkesbury provides an experience which captures the simple pleasures of camping and being close to nature. As you descend the winding and widening 2km road and experience the glimpsing views of the Hawkesbury you can feel the stresses of daily life slip away and holiday mode begins to set in. Once you arrive you can choose the type of accommodation that creates your ideal Greenmans experience from “The House”, self-contained accommodation for up to 14, caravans sleeping up to 6, some with water views, or create your own patch of paradise on a range of camping sites, with some right on the river. Once you have settled in you can pop back and see Larry & Louise and they can tell you how to enjoy the many facilities and activities available at the park including fishing from the wharf, lounging by the pool, cruising the river after you have launched your boat from the ramp and doing a little bird watching and wildlife spotting from the front of your caravan or tent. Or you can just sit back and enjoy the peace and quiet that Greenmans provides. Give Larry and Louise a call or speak to one of their team including daughter Victoria to book your Greenmans on the Hawkesbury escape and see if you can count those million stars!